There comes a point when you’ve mastered the technical stuff enough to get exposure right and you understand what makes a shot feel well composed. But you know that’s not really enough to satisfy your own aspirations and it’s not going to make your images stand out. 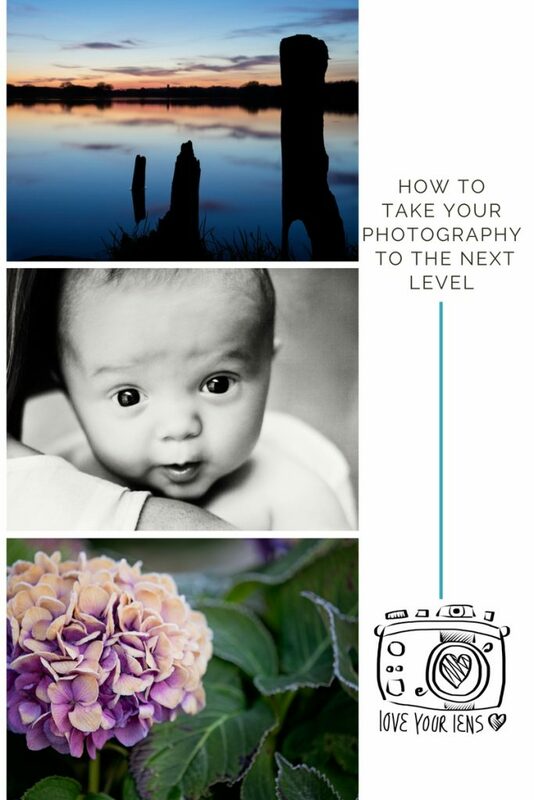 You want to know how to take your photography to the next level but you’re a bit stuck. I remember feeling that I was stuck in a rut, taking portraits of children that the parents would love, because they were better than they could take, but I wasn’t growing as a photographer. I was focusing on earning money and it felt like a production line. I know now, that is a factor in why I gave up nursery photography and eventually moved my focus away from family portraits. I worked out what I love doing – what had me leaping out of bed in the morning and desperate to edit the shots later on. If you feel passionate and excited about what you are doing, you will do it to the best of your ability. For me, it was food, flowers, beautiful products, creative people. And, of course, teaching photography. I stopped doing the stuff that stifled creativity, made me have butterflies and gave me little or no meaningful relationship with the client. Push yourself to find amazing light and locations. If you are at the stage where you can always nail exposure and take a well composed shot, you need to look for magical light and wonderful places. Go the extra mile. Try something new – whether it’s a new lens, a new course, a new type of photography. For me this year, it’s filters and long exposures – or it will be when I can afford them! I get help from people I really respect and look up to. I worked with a food photographer and I have two mentors who have helped me steer my business in the right direction. And I’m always open to collaborating with other photographers, stylists etc, because I know I will learn so much in the process. Join a photography group, get a mentor, go on courses and ask for critique from people you trust and respect. Learn to critique your own images. Be more selective. Take twenty of your own images and make yourself pick only one to post or share. I learnt to believe in myself. This is a biggie. Lack of self confidence is rife amongst photographers. It’s not surprising in some ways, as we are surrounded every day by stunning imagery. It’s humbling. However, you have to believe in yourself and realise it is the whole package that is you, that people buy into. There are better, more experienced photographers than myself, of course. I know that, but I know that I am good at what I do and that people really enjoy working with me. Even just typing that feels a bit ‘braggy’ and counter to our British humility and aversion to show offs! DO NOT COMPARE YOURSELF TO OTHERS. Only compare yourself to you a year ago. Create a ‘boasting book’ or gallery of your best / favourite images. I use my Instagram feed in this way and curate it carefully. It’s my ‘feel good’ gallery, that I look at and pat myself on the back quietly as I do so. I hope this helps you and helps you to move your photography to the next level.